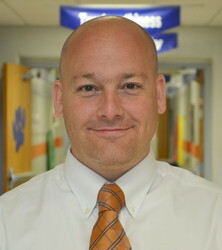 Scott Alter, principal of Glenn O. Swing, says they’re pleased that they’ve increased proficiency in reading (39%-72%), math (28%-70%) and social studies (30%-100%), over the past five years, and they’re addressing areas that need improvement. It’s no surprise that schools across the state, and from the Cincinnati area, want to learn how Glenn O. Swing makes the grade. “This year we are getting ready to schedule seven or so visitation requests,” says Alter. Alter says that they share as they much as they can with other schools, but the fact is, some of the things their teachers do simply cannot be taught. Alter says their students are aware whether the teachers care about them and will not perform to their full potential for teachers who cannot do both know them and tech the material. “But, when teachers can develop those relationships our students will run through walls for them,” he says. The halls of Glenn O. Swing, says Alter, are peppered with photographs of students and parents celebrating accomplishments, illustrating the pride the administration and staff have in them and how important their family connections are to the school’s continued success. Manners and respect for one another are key tenets. “We could not show the gains we have without the hard work of every single staff member in our school and the support we receive from our parents, stakeholders, central office, and school board,” says Alter. 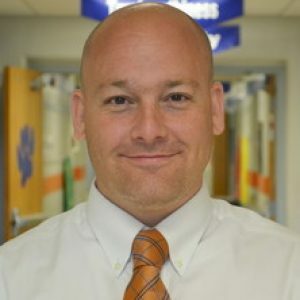 He describes the culture as one where every adult in the building is accountable to students’ success, and one of consistent progress and hard work. While the staff is aware that many of their students struggle with challenges and obstacles that few people might ever experience or imagine, Alter says they choose to be proactive and not use disadvantages as excuses. To help students deal with the daily obstacles they face, Swing developed a Student Support Team. The team is comprised of the school counselor, school psychologist, family resource coordinator, behavior coach, school nurse, North Key Counselor, and afterschool coordinator. Alter says that having such a program in place allows the teachers to do what they do best – teach. The Student Support Team not only supports the students, but the teachers as well, with behavior management and dealing with tough behaviors in the classroom. He says the type of work they do cannot happen in a seven-hour day alone. Swing also has an afterschool program with runs from 3 to 6 p.m., five days a week. The program focuses on student academics as well as arts and physical exercise. “There are many stakeholders from the community which enhance this program and we are very well supported by the district and Covington Partners with this program,” says Alter. The school receives partner support from Duke Energy and Ernst and Young, as well as a strong mentoring program called One to One reading and math, which is provided by Northern Kentucky Education Council. “It is one of my favorite, most consistent and effective mentoring programs in our school,” says Alter. A strong team that works collaboratively, studying discipline and academic standards, is a key component of the school’s effectiveness, says Alter. Professional development is carefully chosen and imbedded to Swing’s learning communities. 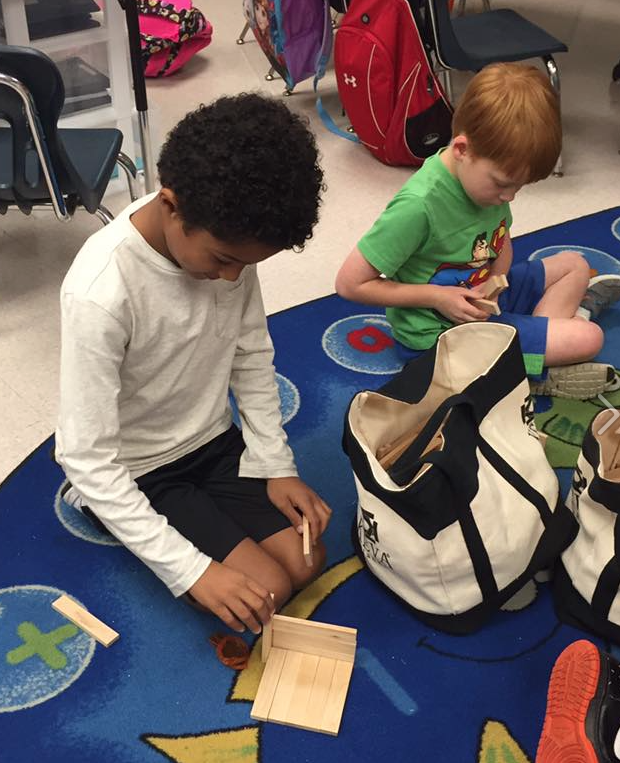 Specific learning communities in the school have been strategically developed and are led by teacher leaders. For instance, Alter says each team has a math lead who is responsible for guiding their team through the learning and processing of math standards. The lead works directly with him and the assistant principal with a vision for the school and the team. Each grade level and vertical team has the same lead with the same vision and goals for the school. Each grade level has a lead for all academic areas so as to establish consistent systems throughout the school. He says teachers are provided time outside of their classrooms by sending teachers into other classrooms to observe their peers who are successful. Planning times, which are built into teachers’ daily schedules, are protected, says Alter. Ultimately, Alter says, the Swing team is proud to have shown that their students can compete with any student body in any zip code in the state. But the focus, he says, remains on student proficiency and growth. “We look at our student results and work every single day,” says Alter. “We know that state tests are very important, but for most teachers it is a two-day test.